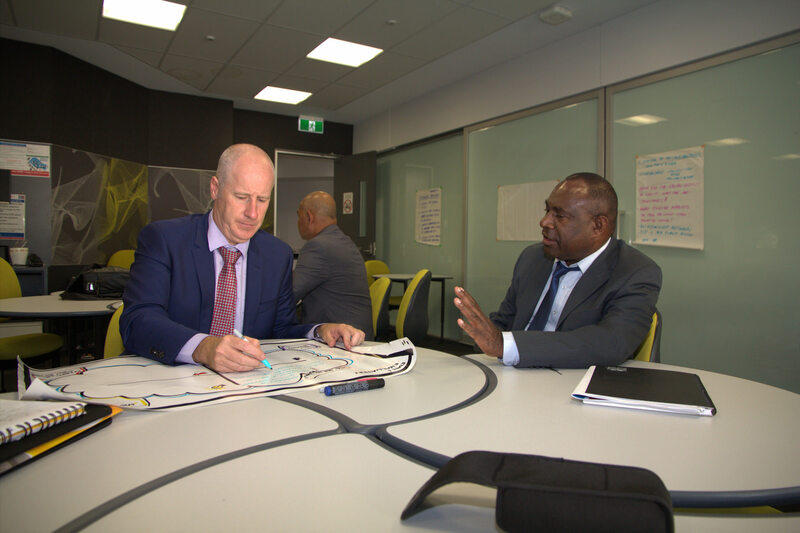 The Papua New Guinea Government is bringing the skills and experiences of world-class training institutes to PNG through the Pacific Leadership and Governance Precinct. Key Precinct stakeholders visited the Joondalup Learning Precinct last week, a West Australian institutional partnership comprising the Western Australian Police Academy; the West Coast Institute of Training, and the top-ranked Edith Cowan University. The Precinct delegation, led by Department of Personnel Management Secretary John Kali, included PNG Institute of Public Administration Director Angori Wewerang and UPNG’s Executive Dean Professor Lekshmi Pillai. Secretary Kali said the initiative would promote the growth of the new Pacific Leadership and Government Precinct by providing its institutions the opportunity to learn from the Joondalup Learning Precinct. Secretary Kali said, “PNG’s new Pacific Leadership and Governance Precinct has a vision to help usher in a new generation of ethical and effective Papua New Guinean leaders. “The Precinct will in time become a centre of excellence in the Pacific for leadership development. This will rely on our partners learning from international success stories. The approaches taken in Joondalup have helped us develop new ideas to improve our own program. We therefore hope to continue our contact with JLP into the future,” he said. Australian Minister Counsellor Rod Hilton said generating linkages with Australian learning precincts would support future collaborative work. Mr Hilton said, “The Australian Government’s aid program strongly supports Papua New Guinea’s vision for the Precinct. 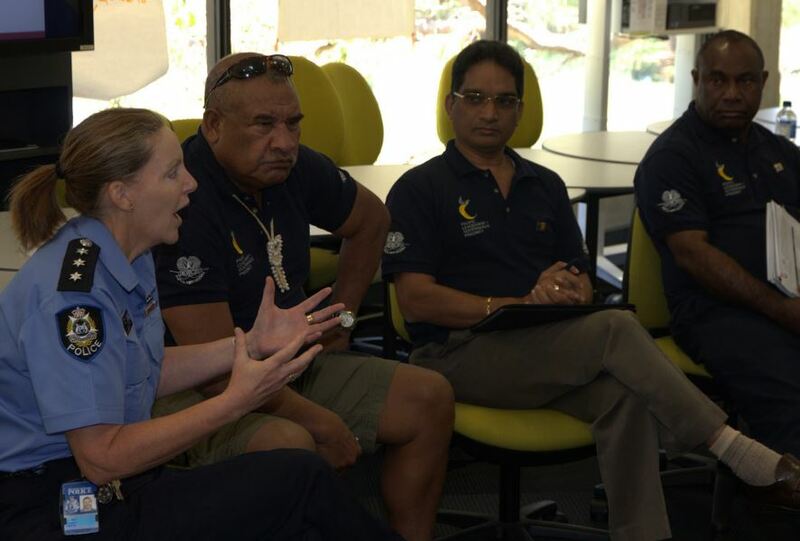 The exchange with the Joondalup Learning Precinct will assist PNG’s Precinct in establishing quality mentoring and scenario-training programs,” she said. Its partner institutions, UPNG and the PNG Institute of Public Administration, will hone the talents of public and private sector executives to usher in a new era of development. The PNG Precinct partners have learnt about JLP approaches to institutional governance, their role in educating the WA public sector, best practice approaches to quality assurance in a tertiary setting, optimum corporate management systems in the tertiary education sector and methodologies for realising effective institutional collaboration. Key meetings included those with JLP Board members, its senior management and senior officials of the West Australian public service commission – including the Commissioner, Mr Mal Wauchope. 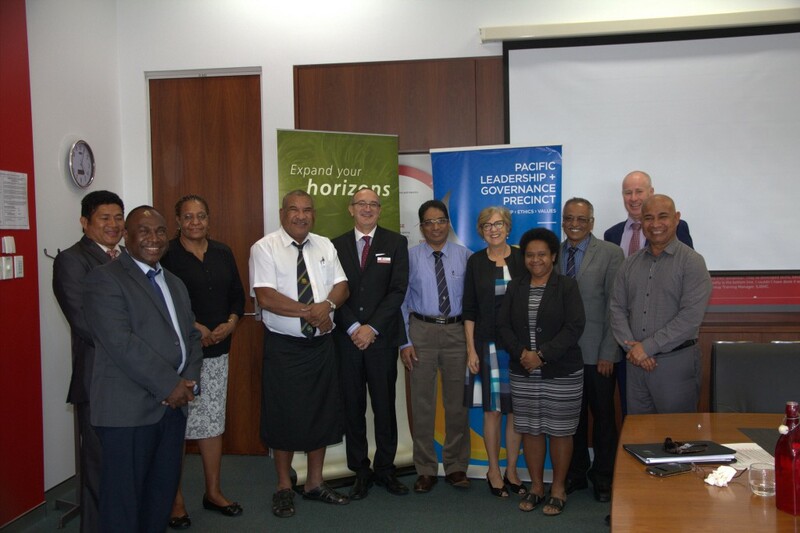 PNG Precinct partners and their counterparts from Australia’s Department of Foreign Affairs and Trade will be working on a Record of Understanding for the two institutions as an outcome from the visit. The RoU will outline the expected areas of ongoing cooperation between the two institutions as the Precinct vision is realised over time. 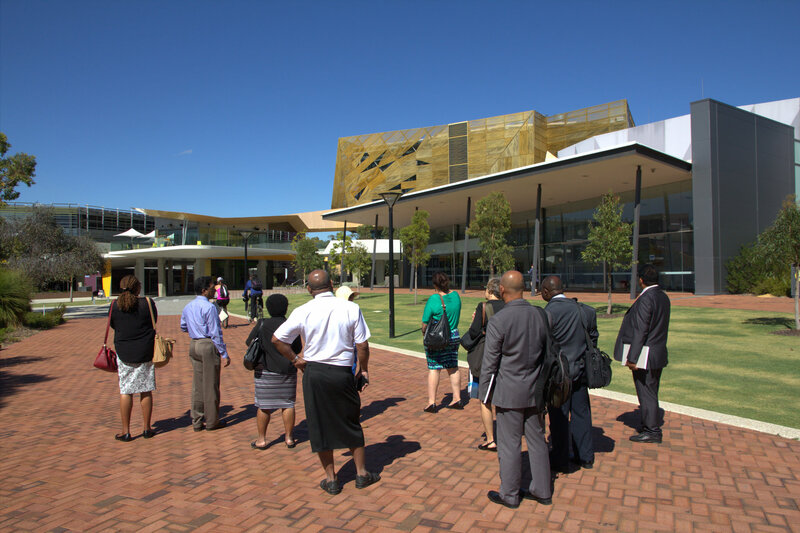 Precinct partners visit the new award-winning Ngoolark Student Services Building at the Edith Cowan University in Western Australia. Secretary John Kali with Brett Dorney, General Manager Industry – Skills Training at the West Coast Institute, along with Precinct partners. Police Officer Inspector Louise Ball from the West Australian Police Academy discussing the Joondalup Learning Precinct mentoring program. Australian High Commission First Secretary Nick Murphy with PNG Institute of Public Administration Director Angori Wewerang.